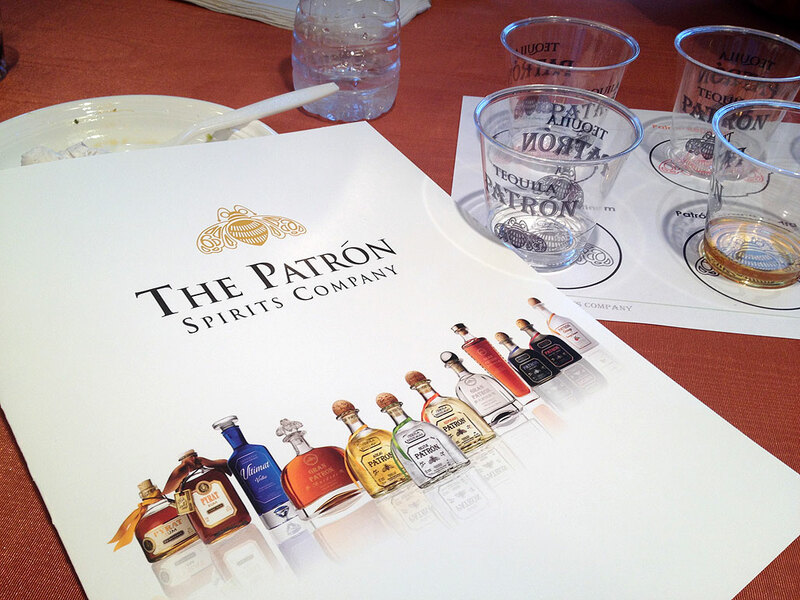 Some of us RainyDayKitchen folks were at a Patron tequila tasting event recently. 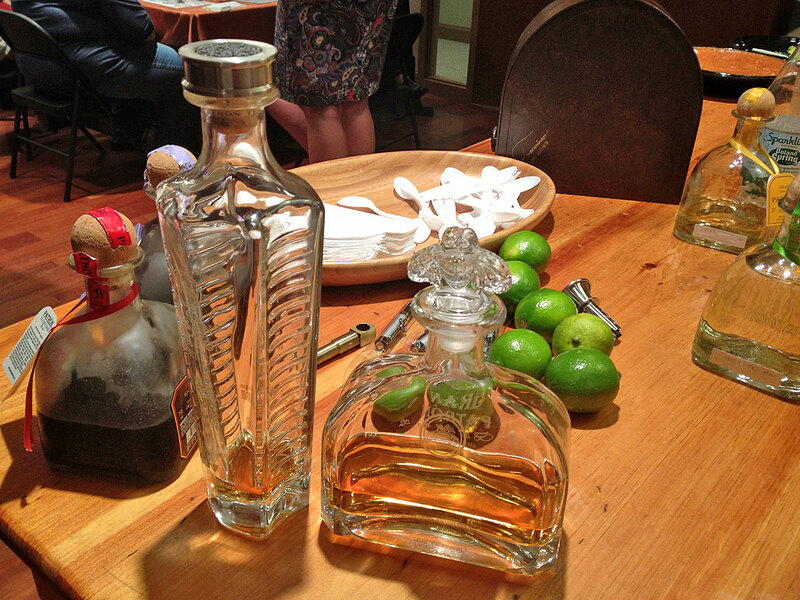 We learned how Patrón makes their incredibly clean tasting tequila. They source their agave in Mexico from trusted growers. They use both roller mill and natural stone Tahona wheel for crushing the agave. Patrón distill their tequila in small batches using copper pot stills. When they increase production, Patrón add more stills instead of increasing the size of the still in order to retain their unique flavor, aroma, and taste! Patrón does this because to them, the tequila comes first. Only three ingredients are needed to make tequila: Agave, yeast, water. Patrón is handcrafted and distilled in the Highlands of Jalisco, Mexico. Patrón tequila is 100% pure Weber blue agave. Patrón was formed in 1988 and has only a bit over 100 employees today. Our first taste was the Patrón Silver. This is Patrón’s premium white spirit. We found it to be smooth and soft. An interesting comment from Patrón was that any drink which calls for vodka can be made using this tequila. Next up was the Patrón Reposado. The word “reposado” means “rest,” referring to the fact that this tequila is aged in oak barrels. The process gave the tequila a bit more complexity, yet it was still ultra smooth, making the Patrón Reposado perfect for sipping. The slight amber color comes from aging it in oak barrels for over two months. Patrón Reposado has a hint of citrus both in its aroma and its taste. So it is also the tequila you want to use if you are going to make a margarita. The third in the flight was the Patron Anejo. The Anejo is a blend of tequilas which had been aged for a minimum of twelve months. Like the Reposado, the Anejo also has a citrus aroma, but its taste was more oak-y, with a suggestion of vanilla and caramel. Apparently, this tequila may be use to make one awesome Old Fashion. Gran Piedra is Patrón’s newest addition to their line. This tequila is crafted entirely from the “Tahona” process, a time consuming and ancient method for creating tequila. The agave is steam-cooked and slowly crushed with a large volcanic stone Tahona wheel. The resulting juice is then fermented and distilled along with the agave fiber. Piedra, which means “stone” in Spanish, is one of very few tequilas that is still produced in this age-old way. After distillation, Gran Patrón Piedra is aged for more than three years in new American and French oak barrels. This is how this tequila acquires its deep mahogany color and sweet, subtle aroma of fruit, fresh mushroom, light citrus, and toasted French oak. The last in the flight was the Gran Patrón Burdeos. The Burdeos is like the Anejo (aged for a minimum of 12 months), but is then distilled again and racked in vintage first-growth Bordeaux barrels. This top-of-the-line tequila is best enjoy straight in a snifter. No fuss. Pure pleasure. It is clear that Patrón pays a lot of attention to the details when it comes to the tequila. This obesssion even extends to the bottle. The Gran Patrón Piedra is in the taller bottle. The Gran Patrón Burdeos is in the shorter one. We learned that every bottle used to hold Patron tequila is individually crafted by a glass artisan using recycled glass. They are even hand-numbered! The cap of the $400 a bottle Piedra is made out of the grinding stone used to make the tequila. The Gran Burdeos comes in a nice leather-wrapped case and in a very expensive looking bottle with a glass stopper. Even when emptied, Patrón is still a work of art! For after dinner or dessert, Patrón has the XO Cafe and the XO Cafe Dark Cocoa. The XO Cafe is a blend of Patrón Silver and the essence of coffee. 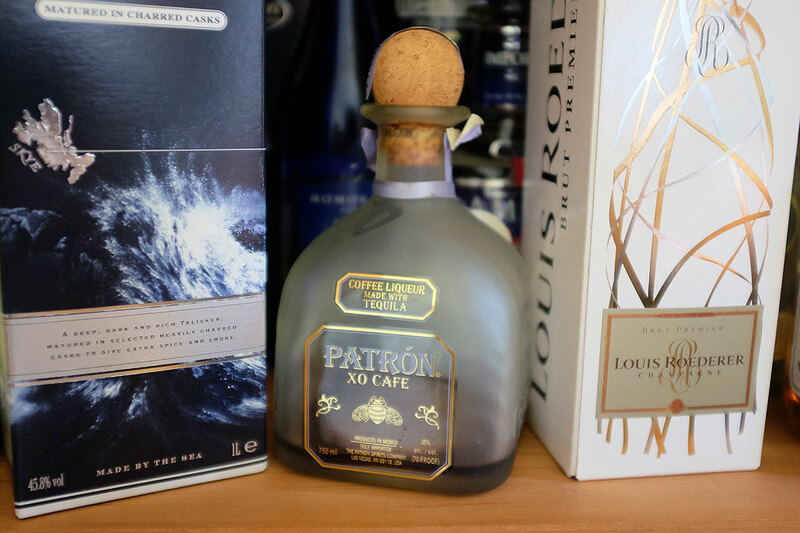 On our own shelf is an almost emptied bottle Patrón XO Cafe, so we are familiar with this particular liqueur. Its taste is dry, not sweet as like other low-proof coffee liqueurs…great for either sipping or as a topping over ice cream. We tasted the XO Cafe Dark Cocoa at the event. This rich, decadent, coffee liqueur is a combination of Patrón Silver with the essence of fine coffee and Criollo chocolate from Mexico. It was every bit as delicious as we had hoped. Today, Patrón has expanded their offerings to include not just new tequilas and liqueurs, but also Pyrat Rums and Ultimat Vodka. We look forward to giving them a try in the near future!